The serene environment of Otor Owhe Community in Isoko North Local Government Area of Delta State was yesterday agog as grassroot political heavyweights across Isoko North constituency assembled to witness a milestone endorsement of Hon. Mike Ogwah for the Delta Assembly membership ahead of 2019 by Hon. Harryman Okoro. Addressing a cross section of politicians from grassroot movements including Isoko Patriotic Forum, Isoko Grassroot Movement, Owhelogbo Grassroot Movement, Macaulay Political Vanguard, Peoples’ Parliament Ozoro, Isoko Advancement Network, Otor Owhe Women’s Forum among other notable personalities from the PDP family, Hon. Harryman Okoro, a front line aspirant for the Delta State House Assembly ticket said his decision to step down for and subsequently endorse Hon. Mike Ogwah was taken after a painstaking consultation with his immediate family, teeming supporters and elders of his party PDP. Hon. 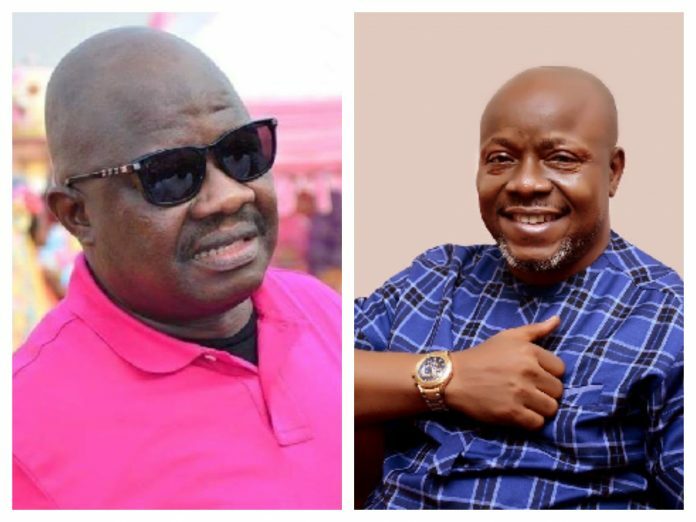 Okoro recalled that he joined the race to put an end to poor representation at the House by the incumbent even after countless tenure and has covered much ground before this idea of forming a formidable force in Isoko North Constituency in order to end misrepresentation was given birth to. He therefore enjoined his campaign coordinators to collapse into Hon. Mike Ogwah’s team and work as a winning team. Okoro called on his supporters in all the wards to unite and ensure Hon. Mike Ogwah is voted into office. Highlight of the event was the formal and symbolic warm embrace and hand lifting by Hon. Harryman Okoro and Hon. Mike Ogwah to the admiration of one and all. In a brief remark, Hon. Mike Ogwah recalled that he has known Hon. Okoro as a senior brother which is further buttressed by this sacrificial display today that cannot go unrewarded. He expressed gratitude to Hon. Okoro, his family and the PDP elders in Isoko North Constituency for this bold step. Hon. Chief Emmanuel Edevor, Hon. Sunday Elueni, Hon. Daniel Tutumor, Hon. Efe Olokor and Sir Sunny Areh were among the dignitaries at the event.